Normally quite weary, the majestic red stag roars before casually wandering into the open to feed confident his harem of hinds will be his eyes and ears and alert of potential danger. A satellite stag roars a challenge…. posturing and daring the regal red. 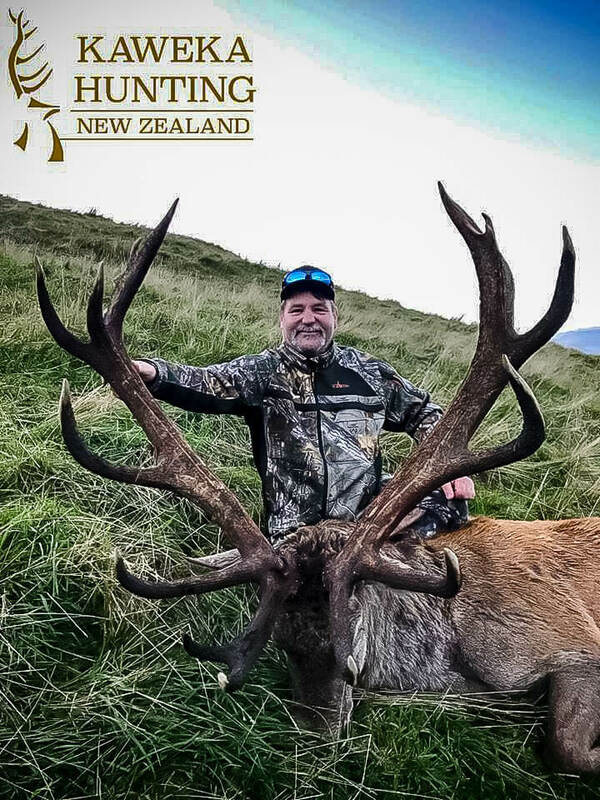 Hunters will find the World’s greatest red deer herds on offer in New Zealand, with the magnificent red stag being the most sought after trophy hunted at Kaweka Hunting. Introduced into New Zealand in 1851 from top Scottish and English herds, red stag thrive in our country due to the mild climate and lack of predators. Renowned for their wariness and instinctual ability to disappear into cover at the slightest detection of a hunter, red stag are a terrifically challenging hunt particularly at Kaweka Hunting with our ideal mix of open and bush covered terrain. The variation in antler characteristics found on trophy Red Stag is quite astounding. From long tines to drop tines, wide or heavy with kickers, your choices are endless when you hunt with us in our uncrowded environment. From silver to super sized trophies and everything in between there really is a stag for every hunter. Guaranteed! If you’re considering a hunt in New Zealand, there’s a saying you may hear. It’s spoken by our guides and other Kiwi hunters, passed on from our fathers and grandfathers. You haven’t hunted New Zealand until you’ve taken a Red Stag.